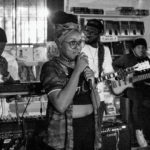 To 25-year-old Priscilla Azaglo, the Black Cotton Club is more than just an open mic: It’s a jam session where artists can be their true selves. 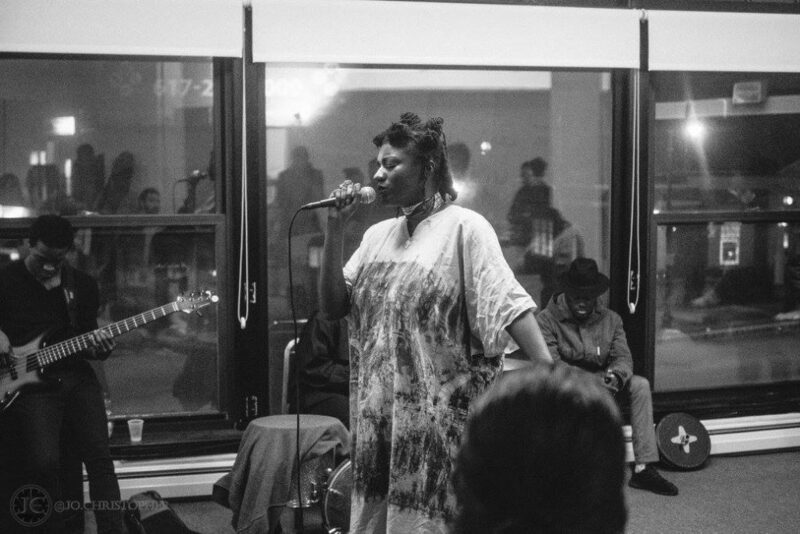 Starting the Black Cotton Club just three years ago after moving from North Carolina to Boston, musician and poet Azaglo noticed that even though there were several creative spaces for artists to perform, she wanted to develop an atmosphere where artists were creating stories with one another. She didn’t want them to worry about being outshined. “Rather just like ‘Oh, your story is this,’ [musicians are] just building off of each other, and just like adding onto each other’s story and sound, and just being present,” said Azaglo. Her Black Cotton Club performance venue was nominated on Sept. 25 for a Boston Music Awards’ Live Music Residency of the Year Award, which highlights live music events and venues that serve a purpose. The winner will be announced on Dec. 12 at the House of Blues in Boston. The Black Cotton Club did not manifest out of a single, isolated idea. Azaglo says it was sparked following a vision she had one day after learning about the origin of the Cotton Club, which dates back to the Harlem Renaissance and served as an opportunity for African American artists to perform. But, the events were only open to white audiences. Though prominent musical figures like Duke Ellington and Billie Holiday performed, for years, they could not perform for their own people. Eventually, the Cotton Club was opened up to black people, but with the exception that their skin color was lighter than a brown paper bag—a test that determined the privilege of African-Americans among white people. 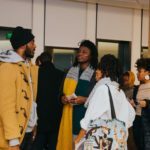 Azaglo spoke to Northeastern University’s Tahisha Charles about how the Black Cotton Club came to be, how she plans to change the landscape of the Boston music scene and about her monthly jam sessions’ nomination for Boston Music Awards’ Live Music Residency Award. What follows is an edited version of their conversation. A: Priscilla is a writer, educator, a daughter, a vessel and just being. Q: How did the Black Cotton Club come about? A: In college, I had this weird vision about black cotton, and I don’t know what the title was. I knew I had to fit it into books and magazines in college as a homage to black writers and artists and activists during the Harlem Renaissance. Q: How did you put the plan into motion? 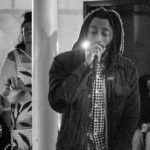 A: I noticed that there were several open mics and several spaces where people could express themselves. I knew I wanted to do something, not only for myself but also where I’m able to meet artists and not have to come off as “using you” but in ways where I could just “be” with artists that just want to create and also be. Q: How’d you put it into play, once you had the idea. A: The first one was at Inner Sanctum. I reached out to Ryan, who is the owner and we did it there. I had partnered with this band and we just did our trial version. It started off as a regular open mic, but it was what I wanted — the jam part. So, more than one artist on stage at one time. Everyone holding a mic, and everyone waiting for their own moment to just share their story and be able to build off of somebody else’s story. Q: Do you guys still do it at the Inner Sanctum? A: No. 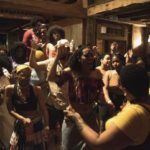 We did Frugal [Bookstore] for a couple months, and we went to other locations: [the] Dorchester Arts Collaborative, we do the event at The Barn by Shirley-Eustis now, which is really dope. Q: That’s where you guys do it now right? A: Yeah. Mmm, it’s about to winter so, the next one will be at this old church down the street. Q: How’d you guys get Oshun (Oshun is a hip-hop musical duo, based out of New York City)? A: Okay, so, when I first moved to Boston, I used to do interviews [with artists] and they were one of the first people that I interviewed and that was at the beginning of their career. So, we had a relationship going into it. Q: How do you want the Black Cotton Club to change the landscape of Boston and what is the mark you want to leave behind? A: I think there’s like this weird barrier between professional artists, aspiring artists and like artists on the rise. … because we’re all human and we all have stories, in creating that, I want to be able to, in Boston specifically, just want to dismantle those barriers. You know? … Because there are these barriers, I don’t think it’s fair and I don’t think it’s right. So, I think it’s important that we have that space. Q: You’ve recently been nominated for the Boston Music Awards’ Live Music Residency of the Year Award. How does it make you feel, and do you feel like it’s a stepping stone to something better? A: When I first found out the news, I was really happy that the space was honored in such a way and I think it is a stepping stone. I think although artists know how dope they are … we know how beautiful and dope we are. I think someone to acknowledge it on a platform as big as Boston Music Awards, it feels good. It’s bigger than me. So, yeah. It is a stepping stone. We’re honored.